After spending time in France studying the little-known art of goat-cheese-making, Laura Chenel launched her own line in 1979. Meanwhile, over in England that same year, Randolf Hodgson launched one of the world’s great cheese brands with notable cheddars, like the crumbly, spicy Westcombe. Shelburne Farms, Shelburne, Vermont On a Vanderbilt estate, Shelburne Farms—part dairy, part environmental-education center—began making its superb raw-milk cheddars in 1980. 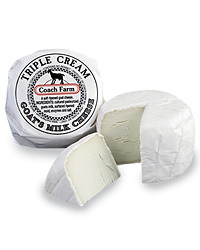 Another pair of early goat cheese proselytizers, Miles and Lillian Cahn—the couple behind Coach leather—began making French-style goat cheeses in New York’s Hudson Valley in 1983.